This is not an all inclusive glossary. Want to see another glossary term? Please email us. 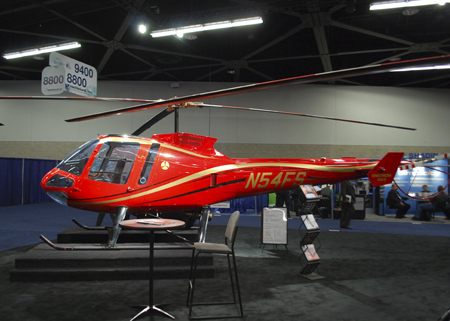 Helicopter Links is a worldwide directory of helicopter information. See our Site Map for all categories. Articulated: A rotor hub which provides coning/flapping and lead/lag drag hinges, as well as rotary bearings for pitch change. —Modern Fighting Helicopters, by Bill Gunston & Mike Spick, 1998, page 204. Ground Effect: Effect of having a solid flat surface close beneath a hovering helicopter. —Modern Fighting Helicopters, by Bill Gunston & Mike Spick, 1998, page 204. Ko Hung (320 AD): “Ko Hung describes the Chinese flying top.” ~John Fay, The Helicopter, History, Piloting and How it Flies, David and Charles, 1976, page 126. NOTAR®: No Tail Rotor. "NO" "TA"il "R"otor. 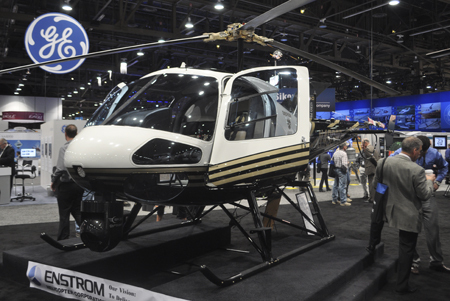 See http://www.mdhelicopters.com for a complete explanation of MDHelicopters' incredible Notar® anti-torque system. This is helicopter safety and low noise at its finest. OEM: Original Equipment Manufacturer. A manufacturer that sells a complete product to its end user. The internal parts used in the final product might be purchased from other manufacturers or internal parts might be manufactured on-site, usually a combination of both. For example: A Camaro might have Firestone tires, windows by PPG, radios by Sony, metal by US Steel but the final product is known as a General Motors Chevrolet Camaro. General Motors is the Original Equipment Manufacturer (OEM). Optimum Speed Rotor (OSR): A rotor system designed so it's rotor speed is able to vary across a wide range and by doing so is able to find the most efficient flight condition. —Paraphrased from Defence Helicopter (magazine), Vol. 24, No. 5, October/November 2005, page 9, 1st paragraph, David S. Harvey, Editorial Director, North America. Piston Engine: An internal combustion engine with working cylinders in which the process of combustion takes place within the cylinder or cylinders. —paraphrased from a Webster's Unabridged Dictionary of the English Language, 1989. 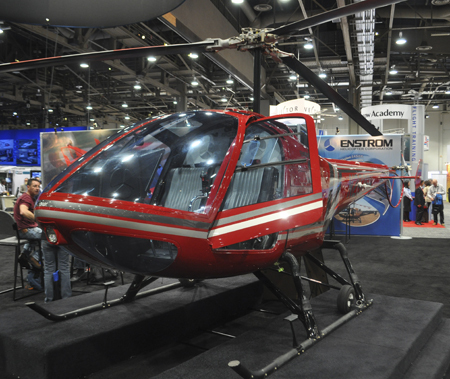 Skycar: A specific form of Volantor, developed by Moller International. Multi-passenger aircraft capable of vertical take-off and landing, high-speed (300+ mph) travel. 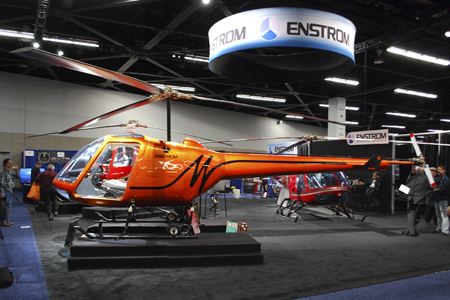 Swashplate: A disc either fixed or rotating on the main rotor drive shaft, which is tilted in various directions by the pilot's control inputs. Rods from the swashplate control the pitch angles of the blades. —Modern Fighting Helicopters, by Bill Gunston & Mike Spick, 1998, page 205. Tip Path: The path in space traced out by the tips of the rotor blades. —Modern Fighting Helicopters, by Bill Gunston & Mike Spick, 1998, page 205. Variable Thrust Ducted Propeller (VTDP): A "ringtail" ducted propeller which replaces the typical tail rotor of a helicopter which results in increased speed, range, payload and reduces fuel consumption of the converted compound helicopter. The modification also includes added fixed wings. This would turn a Blackhawk into a Speedhawk. This add-on component is being developed by Piasecki Aircraft Corp. —Paraphrased from Defence Helicopter (magazine), Vol. 25, No.1, February/March 2006, pages 33-36, by David S. Harvey, Editorial Director, North America. VS-300: The world's first practical single main rotor helicopter built by Igor Ivanovitch Sikorsky. It first flew September 14, 1939. 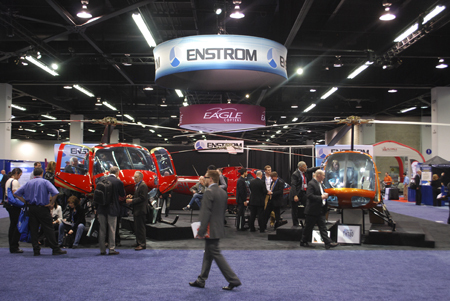 Helicopter Links took these pictures at Heli-Expo 2013 and Heli-Expo 2014. These pictures may not be copied or reproduced in any form such as print or electronic or any other future form of transmission without our permission. These pictures are copyrighted by Helicopter Links.